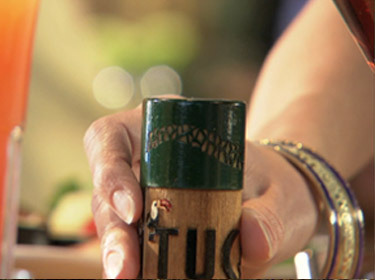 Tucanos Great Taste Now Comes to You! Let us cater your Holiday party, wedding reception, luncheon, or dinner. We can create a Custom Menu that's perfect for your special occasion. China and Silverware available with Tucanos Catering & Tucanos Full-Service Catering for an additional fee. Tucanos will carefully put together your catering order for easy pick-up at Tucanos at your convenience. 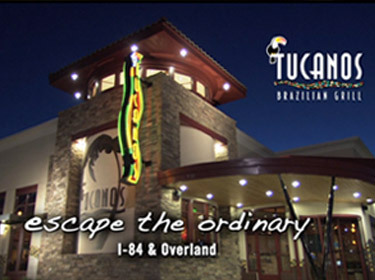 Tucanos will conveniently drop off your special meal and provide set-up at your direction. 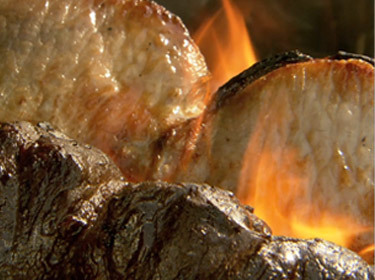 Tucanos brings our full festive Churrasco to you! We come in, set-up and refresh your buffet throughout the meal, serve sizzling foods from the grill on skewers, and will clean-up the service area after your event. This is certainly the easiest and most convenient way to enjoy your event. We have a lot of delicious choices to enhance any of your catering selections. Whether it’s for Catering, Pick-Up, Box Lunches or Platters, Tucanos provides plates, napkins, and utensils with all orders! A mixture of romaine and leaf lettuce, garden veggies, tomatoes, shredded cheese, and salad dressing. Penne pasta mixed with garden-fresh herbs, spices, and Italian cheeses. A refreshing blend of tropical fruits, melons, and seasonal fruits. A colorful mixture of broccoli, fresh garden vegetables, nuts, raisins, and homemade dressing. Our own unique blend of tender potatoes, carrots, onions, eggs, and homemade mayonnaise dressing. Some items may be unavailable or not listed. To view your local Tucanos catering menu in PDF form, please select from our Tucanos locations in the left column.